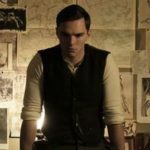 The acclaimed French chef and co-owner of Le Bernardin delivers an account of his life in France and Andorra before he moved to the United States in his early 20s. It is rare to see someone embrace their damage fully in public, especially when blinding success could easily disguise it. 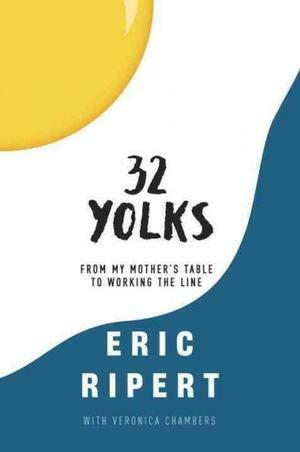 But in his memoir, 32 Yolks: From My Mother’s Table to Working the Line, chef Eric Ripert does just that with a vulnerability and honesty that is breathtaking...He writes with a rare emotional intelligence and seems to cook with it too—telling us that some sauces can be masculine, and some feminine, that fish is more technical and meat is more sensual. He describes food in terms of vibrancy, depth, a lift of sweetness, a taunt of sourness, and richness. That these tales are enjoyable despite their general familiarity is a tribute to the vividness with which Ripert (aided by his co-writer, Veronica Chambers) conveys them...What distinguishes a good chef’s memoir from the forgettable ones, after all, are the anecdotes. And Ripert has one very big anecdote in the form of Joël Robuchon...Ripert is not the first to tread on this terrain; in his own memoir, Gordon Ramsay described his time in Robuchon’s kitchen as similar to a stint in the British special forces. But Ripert is a more introspective soul, and we can see him still struggling, some 30 years later, to reconcile his conflicting images of Robuchon as genius and jackass, and to assess what the anxiety and pressure did to him as both a chef and a man. We never get to see that for ourselves. 32 Yolks ends abruptly with the 24-year-old Ripert about to depart for a new job in the United States. How Ripert becomes a chef is a known story, too. But what makes 32 Yolks compelling is the honesty and laudable humility Ripert brings to the telling...Let's hope Ripert sees the possibilities of a sequel to this fine memoir and produces a second volume. I'd enjoy learning of the lessons learned from the people and the kitchens he encountered in the United States. What did you think of 32 Yolks: From My Mother's Table to Working the Line?